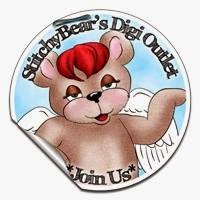 our sponsor this week at the Fairy;s challenge blog is Stitchy Bears Digital Outlet stamps. I am using this beautuful stamp of a mother holding her baby. 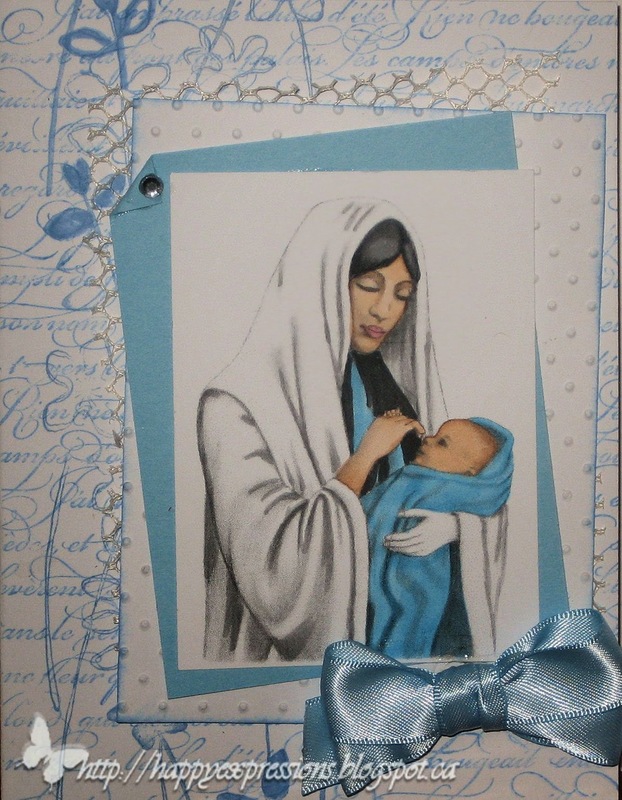 I have used neenah cs for the base of the card. I used SU enfrance background stamp over the front inked with bashful blue. I then took The SU stem & silhouette wheel stamp and went over the background down the left side of the card aslo useing bashful blue. I took the bashful blue marker and added a few solid parts. For more texture on the card I took some vanilla netting and added it over the background. I added a piece of white neenah cs that has been embossed with the cuttlebug swiss dots embossing folder over the netting. I had tried to used liquid glue to adhere the embossed piece but it wouldn't stick so I added dimensional foam behind it. I added a smaller piece of bashful blue cs with the left corner folded over and added a rhinestone. The image was then added to the blue. I printed it onto neenah cs and colored it with copic markers. E00,000,21, N6,4, B 12,14. Last I used SU bashful blue satin ribbon made into a bow. I will enter this card into these challenges. Beautiful card Carolyn, and just in time for Easters. Thanks for sharing.